Some military surplus gear bears the mysterious acronym O.T.K. What does "O.T.K." mean? 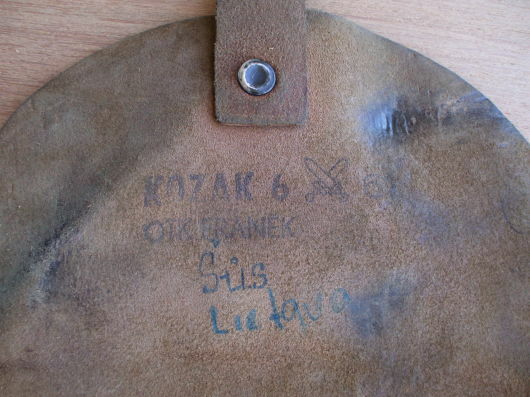 The short answer is that "OTK" means that the item was manufactured to military specifications in the former Soviet Union or another Warsaw Pact nation, but there's more to it. In Russian, and coincidentally in Czech, OTK is like American MIL-STD. 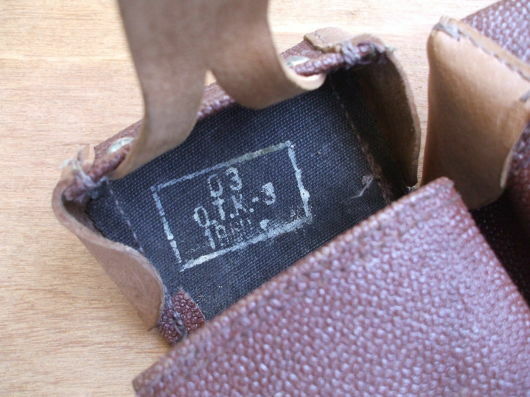 This picture and the banner at the top of this page show an example of "OTK" inside the cover of the case for a cleaning kit for a Soviet Mosin-Nagant rifle. The handy reference Словарь Сокращений Русского Языка (Slovar' Sokrashcheniy Russkovo Yazyka or Dictionary of Abbreviations of the Russian Language) lists two abbreviations for Russian "OTK". Those three letters happen to be the same in the Cyrillic alphabet used in Russian and the Latin alphabet used in Czech and English. That is definitely a Communist-era term! Russian and Czech are Slavic languages, meaning that they are closely related. The Slavic languages are fairly similar to each other, maybe more so than those of the Germanic or Romance families. Working backward with the aid of an overview of Czech declension of nouns and adjectives and an English-Czech pocket dictionary, the phrase "Department of Technical Control" would be something like "Oddĕliní Technického Kontrolovatu" in Czech. That's OTK. Here is another example of "OTK". 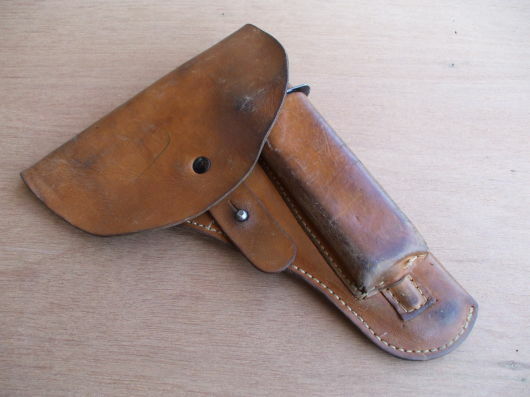 This is a "Kozak 6" holster bearing the Czech Army mark of crossed swords. Below that it says "OTK FRANEK". 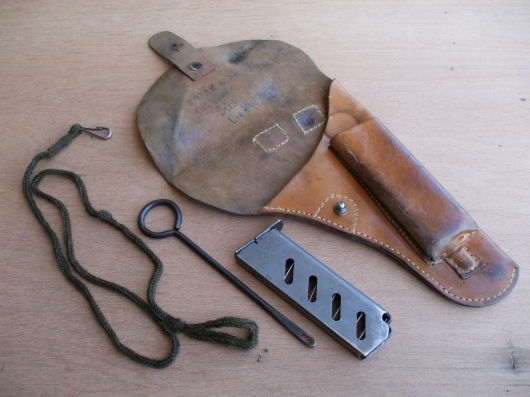 "Franek" may be the name or location of the factory that produced this holster, which has pockets for a spare magazine, a cleaning rod, and a lanyard.